OPENING YOUR WINDOWS DURING A TYPHOON WILL STOP YOUR BUILDING FROM EXPLODING. It was once widely believed that opening top windows in a home would release pressure during a typhoon, to ensure that a building would be safe from explosion due to high pressure build-up. However, with improvements to science and understanding of physics and engineering, it has been categorically found that this act does not support your home during a typhoon – in fact it adds to the likelihood of your roof being blown off due to wind entering your home and pushing upwards. This, alongside constant battering from the wind outside, would lift the roofs of houses making it look like they had exploded due to pressure from the inside. This myth is further from the truth due to the fact that houses are not airtight in their general state, have no vacuum, and therefore cannot form a pressure differential. In the face of a typhoon, it remains best to secure all windows and doors, turn off appliances and gas lines, and seek shelter a small interior room, closet or hallway on the lowest level of your home if you have not been able to evacuate the area. DOGS AND OTHER ANIMALS CAN “SENSE” WHEN AN EARTHQUAKE IS GOING TO STRIKE. For centuries there have been stories and accounts of strange animal reactions in the lead-up to an earthquake, and while these are intriguing, there are no particular scientific links between an animal’s ‘sixth sense’ and an impending earthquake. There is room for thought on animals sending pre-shocks that preceded a larger quake, however this again is merely a concept for an interesting discussion or storytelling session. In reality, what animals sense, if they feel anything at all, remains a mystery. Earthquakes are a sudden phenomenon, and seismologists have no way of knowing exactly when or where the next one will strike. 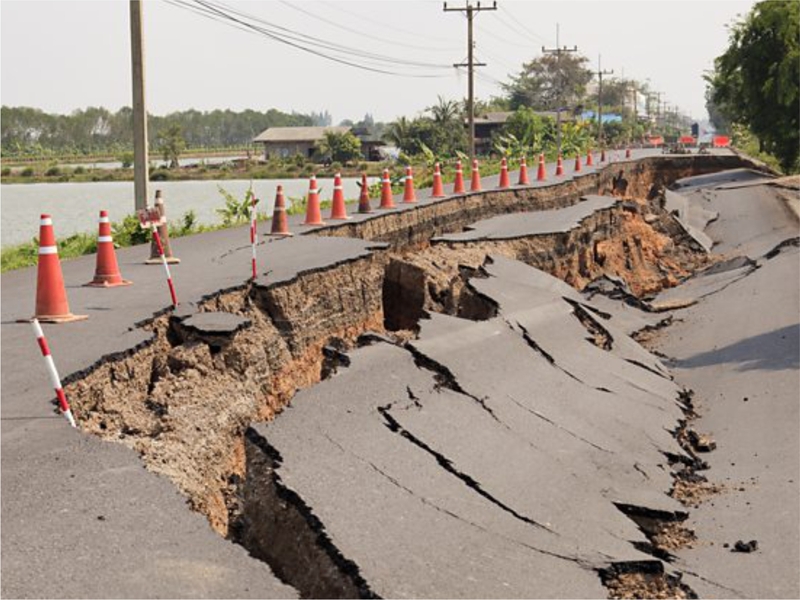 While there have been various research projects undertaken to link animal sensory behaviour with earthquakes, many outcomes are based on varying hypothesis, and also based on retrospection and memory after an earthquake event (due to the above fact that earthquakes are unpredictable). Overall, there is no strong evidence supporting this – and while this might be an interesting theory, it is still best to follow the warnings and guidance of your local disaster management authority and be prepared for an earthquake event at all times. LOTS OF SMALLER EARTHQUAKES KEEP BIGGER ONES FROM HAPPENING. It may feel that the onset of small earthquakes forms some sort of ‘tension release’, that ultimately decrease the size and scale of a larger earthquake – however this is untrue. Small quakes do in fact relieve stress on a fault line, but in reality it is way too little stress to decrease the likelihood of a larger quake. Earthquake monitoring shows that around a single 6M earthquake there can be hundreds, even thousands of smaller earthquake events (before and after a large event), however none of these serve to decrease the magnitude of the largest quake. In reality, these smaller quakes only serve to evidence that the fault line is in the midst of activity, and should make us consider our preparedness and readiness for the onset of a larger quake. HOLDING ONTO A SOLID OBJECT WILL HELP YOU SURVIVE A TSUNAMI. While there are some amazing stories of survival, the reality is that most people do not survive being swept away by a tsunami. The power, amount and height of the water surge is much too strong for most ‘immoveable’ objects, let alone for anyone unfortunate enough to be hanging onto them. The best way to avoid being caught by a tsunami is to be aware of your location, including tsunami evacuation routes, should a strong coastal earthquake occur. If this happens, follow the guidance of local authorities and evacuate if requested, and should you find yourself with limited time before the tsunami strikes, quickly find shelter on higher ground nearby. YOU CAN OUTRUN A TORNADO IN A VEHICLE. While some vehicles may have higher speeds than the average 60-120km/h winds created by tornadoes, you would have to be a very lucky person (or racing car driver) to outrun one in your vehicle. Tornadoes turn and flip vehicles with ease, ensuring that you and any passengers would be in the greatest of danger. Alongside the varying windspeeds, the idea also must factor-in changes in wind direction, as well as the array of obstacles and flying debris that would cross your path. Therefore, if you have not had the chance to evacuate from the path of a tornado, it is best to avoid windows and take shelter in a basement or a window-less middle room on the lowest level of a building. IF ONE MOUNTAIN IS INCREASINGLY ACTIVE OR ERUPTS, IT WILL TRIGGER ERUPTIONS IN OTHER NEARBY VOLCANOES. While many volcanoes may be situated along a single fault line that is experiencing increased activity, there is no link between a mountain’s eruption and the state of others nearby. In reality, each volcano has a ‘life of its own’, with its own characteristics, activity, pressure and release points, and therefore remain may erupt at any time in accordance with their own situations. The best way to face potential eruption is to develop your own preparedness plan under guidance of local authorities, who will also provide the most up-to-date information regarding the activity of your closest volcanoes. A VOLCANO IS ‘DUE’ FOR A LARGE ERUPTION. Often people feel as if the longer a mountain lies dormant, the likelihood of a larger eruption increases. This is perhaps based on the belief that pressure and magma is continuously growing within a mountain crater to the point of eruption, therefore the longer the wait, the larger the event. In reality, volcanoes have no eruption pattern or cycle – as stated previously, each mountain has a life of its own. Some volcanoes can lay dormant for centuries with only a small eruption as a result, whereas others may be continuously active with varying sizes of eruptions. Each mountain is defined by the variety of activities and elements within its design and its source of magma, completely under the guidance of the unique and unpredictable events happening deep below the earth’s surface. LARGE AND HEAVY VEHICLES, SUCH AS SUVS AND PICKUPS, ARE SAFE TO DRIVE THROUGH FLOOD WATERS. While simple physics may have us believe that the heavier the vehicle, the more likely one can drive through floodwaters, in reality this is not true – driving through floodwaters should be avoided at all costs. Strong floodwaters with underlying currents have been known to wash away objects much heavier than a truck, not to mention that vehicles are not secured or anchored to the road. While we may feel that the movement of our vehicle will allow us to pass through the water, it is easy for floodwaters to rise extremely quickly and drown an engine, rendering one stranded in the middle of fast-moving waters with no ability to find safety. If caught in rising floodwaters it remains the best option to seek higher ground, contact authorities, and wait for rescue or for the floodwaters to recede.